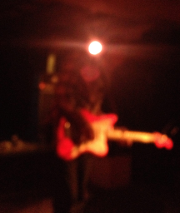 Tomás Tello and I released a split cassette on Andesground. Two times 22 minutes abstract and playful improvisations. 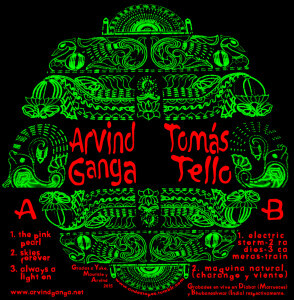 My side contains three improvisations, free abstract psychedelic pieces, while n the flipside Tomás combines field recordings made in Bhubaneshwar, India, with analog electronics like cameras and radios and the charango, a small Andean lute. I’m very happy with this release and I hope you’ll enjoy it too .. head over to Cassette on Bandcamp to listen!